A learning disability is the inability of the brain to process and learn information the way it is typically presented. Information presented in a different manner would not necessarily expose a learning disability - thus learning disabilities do not have to stifle creativity or output. (Check out this article to see a clinical learning disabilities definition ). The causes of learning disabilities vary from genetics to brain injuries, but are much less important than the solutions. Everyone finds it difficult to learn when information is presented only one way. For instance some people are visual learners, while others do better hearing information. If teachers were silent and only used flash cards during class, the list of learning disabilities would grow by leaps and bounds. Few would succeed in class if information were only presented visually. Unfortunately, students with these disabilities do have difficulty learning because the information is not presented to them the way their brains learn. Learning disabilities discussions typically includes reference the most prominent and discussed types such as ADHD and Dyslexia. Nevertheless, there are many types all differentiated by small nuances in the brain. Some are auditory, some visual while others involve the connection between learning something and then being able to reproduce what's been learned. Learning disabilities statistics are a reflection of the way children are typically taught, thus the way information is typically presented. Statistics inside the home schooling community are quite different since home school teachers can more easily adapt to the way students learn and process information. Testing for learning disabilities is the first step to understand how the students brain works thus enabling the student to adapt to the learning and gives the instructor a path to present the information. We would love to talk with you about learning disabilities and how you or your child can thrive despite them. Don't go down the road alone. We can help you navigate the Individual Education Plan, better known as the IEP, process at school, help your teacher understand how to help and give the student some confidence going forward. Just call us! There are 4 types of learning disabilities, which probably seems odd since there are so many big words describing them. Since learning disabilities are problems associated with the way the brain processes information, there really can only be four types of learning disabilities. 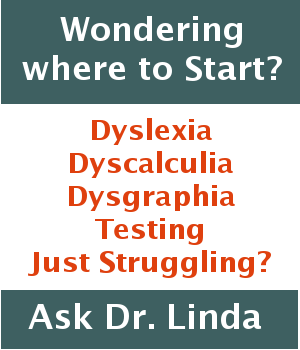 Testing for learning disabilities is important when, no matter how hard they try, your kids don’t get that A+ they wanted. School success seems impossible. Sometimes they need to undergo testing for learning disabilities. Learning disabilities are serious and need to be addressed or your child’s difficulties in school may never be solved. When kids are forgetful and disorganized and have to use all their resources to survive each day, they may have a learning disability. Unless teachers and parents understand how difficult it is for such children, they won’t be able to relate to them.